The Nikonians Academy Tanzania photo safari is on for November 2016. 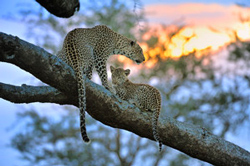 This marks Academy Director Mike Hagen's tenth safari to Tanzania and he keeps refining them to be better and better. His trip focuses on northern Tanzania's national parks including Serengeti, Ngorongoro Crater, Tarangire and Lake Manyara. We still have spots available, and most people who come, bring their spouse, but we also have a lot of individual shooters attend as well. One of the best aspects of this trip is that we are only allowing three photographers per vehicle. This means that each person will have an entire row to themselves with one seat for their camera gear and the other seat for themselves. There will be plenty of room to move around and everyone will have perfect access to all photo opportunities. Obviously, this trip is very focused on photography and each day is optimized to photograph wildlife and landscapes. More information here. 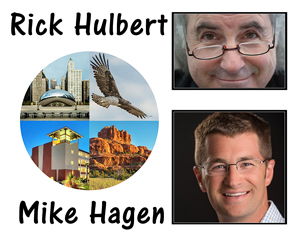 Rick Hulbert and Mike Hagen are running a week-long series of workshops in The Woodlands, Texas (April 5-9, 2016). "We are offering classes on a variety of topics including Lightroom CC, studio lighting, architectural photography, street photography, composition, HDR imaging, panorama photography and autofocus for sports/wildlife. You can sign up for one workshop or all workshops. We also have a photo walk scheduled for the evening of Thursday, April 7th and would love to see you there." We're now making our last call for Les Picker's Sri Lanka: Culture and Wildlife photography trip (March 12-23, 2016). 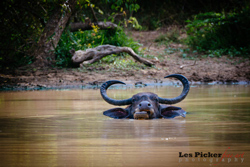 Les leads photo workshops to Sri Lanka every two years and says that the photo opportunities are like none other in the world. For this trip, Les Picker, has added a 4-day extension in Dubai. ?Those of us who elect the extension will leave from Sri Lanka and fly directly to Dubai, the epicenter of the United Arab Emirates. 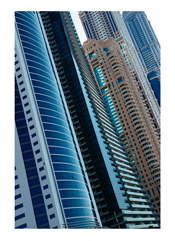 Truly a cosmopolitan city, Dubai has the most skyscrapers of any city in the world. Beyond that, city planners have given unparalleled freedom to architects. The result is a photographer?s paradise, with angles, reflections, spiraling towers, and architectural landscapes that are unmatched.? If interested in the pre-trip, email Les directly for more information.You can find the address at Les Picker's Sri Lanka page. By adding Nikonians (NikoScope) as a search engine for your web browser, you can search through the large amount of pages at Nikonians easily. Works with Firefox, Chrome and Internet Explorer. Safari support currently not available - we're working on it ! The NikoScope plugin page has the plugin. What's better than a Nikonians Academy instructor leading a workshop series? Try two Nikonians Academy instructors at the same location presenting their specialties in a 'pick and choose' assortment tag-team format. 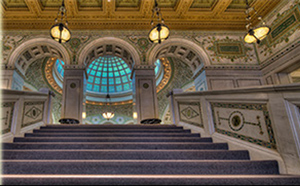 That assortment includes your choice of customized training at various price ranges (depending on the subject matter and number of courses you choose) capped off with a free Photo Walk. Nikonians Academy Director Mike Hagen and Rick Hulbert are collaborating on a 5-day workshop series in The Woodlands, Texas from April 5th - 9th, 2016. You can sign up for one workshop or all workshops. We also have a photo walk scheduled for the evening of Thursday, April 7th and would love to see you there. All photographers are welcome to attend, as our instruction includes Nikon, Canon and other brands of cameras. We'd love to have you and your friends come to Texas for this workshop series. It is truly going to be great." Our Iceland 2016 photo adventure is set to be an incredible journey. Workshop leader Mike Hagen and his co-leader Tim Vollmer, are Iceland veterans who have a proven track record of leading top notch trips. We travel during late July in order to maximize light and photograph during the best weather. These trips are beautiful. Take a walk on the wild side with Mike as you hike into volcanic craters and explore the stunning country in private tour vehicles. Because you will be traveling as an independent group, your guides and drivers are dedicated to getting you to the best locations in the most incredible light. 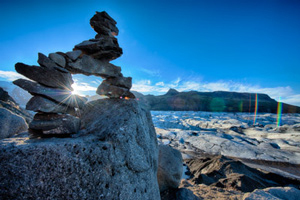 Co-leader Tim Vollmer is a native of Iceland and has been running photo tours for years. He has one of the best reputations in the industry. Get ready to photograph geothermal sites, glacial lagoons, birds, landscapes, volcanoes, lava fields, waterfalls, and basalt columns. Mike also included a photo tour of Reykjavík that includes buildings and architecture. This workshop is strictly limited to a maximum of 10 participants, and early reservations are highly recommended. Rick Hulbert has spent his entire career becoming an internationally awarded architect. He has combined his thorough knowledge of architecture with his professional photography experience to put together a tremendous class called the Urban and Street Photography Workshop. Rick has led these workshops for many years now and they are some of the best-reviewed classes we teach. Our next workshop is scheduled for Chicago, Illinois September 15-19. There is no requirement for fancy equipment. Any and every brand of camera will work, so we strongly encourage participants with Canon, Sony, Fuji, Leica and other camera brands to attend. The principles taught will also apply to point and shoot cameras, new mirrorless cameras, and yes. . . even camera phones! We will discuss the elementary basics of how people see, how the camera sees, and why extending the Dynamic Range of light captured in your images can be so enticing and fulfilling. This is true, whether you are wanting to document reality, or wanting to interpret reality. Join the Nikonians Academy on a beautiful journey to Tanzania for a photo safari you'll never forget. Mike Hagen has led ten safaris to this region and knows it very well. He's optimized every moment of this trip to take advantage of photographing local animal populations in diverse regions of Tanzania. This year's trip is planned to be the best ever with upgraded lodges, and luxury tented camps located inside the National Park Lands. Mike leads his 10th safari to Tanzania November 4th-15th, 2016 and he would love to have you along. His photography trips to Tanzania are completely focused on maximizing the time we spend in the outdoors in the pursuit of stunning images. Is the Compact Flash format doomed (anytime soon)? 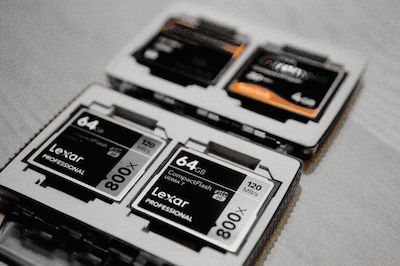 With the Nikon D5 and D500 preferring the XQD format for storage, is the Compact Flash card format doomed (any time soon)? My take on this is, yes. Of course the format is doomed over time, but it will be around for quite a few more years, just that manufacturers will not produce much of any new camera models supporting it. One reason being reduced manufacturing costs to support XQD vs. higher costs for supporting CF. The CF format is physically great, being robust. The size of these cards reminds me of video cassettes somehow and it is clear that smaller cards are often more practical, ignoring any speed advantages newer specs provide in addition. For us CF dinosaurs, we can order the D5 with CF slots, for anyone else, get the one for XQD cards. Maybe we can come up with some DIY projects, things to create out of old CF cards, something to put in the window, or to have the kids playing with. Join the discussion on the future of the Compact Flash in our forums. Nikonians Academy Director Mike Hagen tells us he is nearing the deadline for closing enrollment on our Sri Lanka trip (beginning March 12). Our intrepid travelers will visit quite a few national parks with amazing wildlife photography opportunities. In these parks, we've arranged transport in open-air vehicles to better photograph leopard, elephants, monkeys, birds and other wildlife. When not photographing wildlife, our trip will focus on stunning landscapes and beautiful culture. Our trip leader, Les Picker, has added a 4-day extension in Dubai. "Those of us who elect the extension will leave from Sri Lanka and fly directly to Dubai, the epicenter of the United Arab Emirates. The result is a photographer's paradise, with angles, reflections, spiraling towers, and architectural landscapes that are unmatched." ► Click here to sign up for the workshop. ► Click here to learn more about the 4-day extension to Dubai. Iceland in the summer is a place every serious photographer should visit at least once in their lifetime. 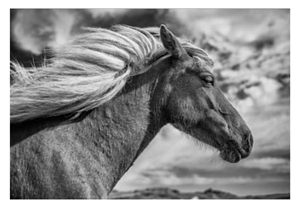 Our photography trip with Mike Hagen hits all the big highlights along the southern coast of Iceland (July 17-24). Our partner on this trip is the world-renowned photographer Tim Vollmer who is a native of Iceland and has been running photo tours for years. He has one of the best reputations in the industry. Birds, landscapes, waterfalls, and of course, lots of ice. Last year's trip sold out, so don't wait too long to sign up for the 2016 adventure. This workshop is strictly limited to a maximum of 10 participants. This means that you'll receive hands-on training from your workshop leaders every single day. Our goal is to help you capture incredible images and our small group size ensures you are well taken care of. 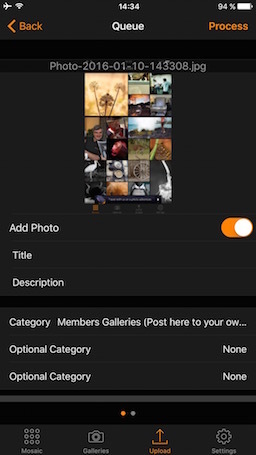 If you have some of your photography stored on a mobile or tablet, it is easy to upload that into your own gallery at Nikonians. Just go and grab the latest, free version of the Nikonians mGallery from the iTunes appstore or Google Play, login with your Nikonians username in the app and you are ready to go. 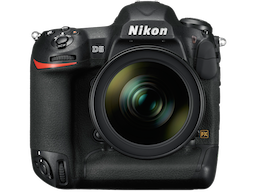 Stay up to date on the new Nikon D5, learn about how to utilize it, share images and discuss with other D5 users in our Nikon D5 forum. 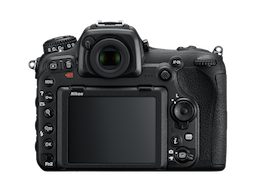 The technical specifications of this new pro DSLR from Japan are great, no matter if you are into sports, landscape, people, fashion, events or wildlife. And, "what's about the price?" you may ask. Streetprice seems to be around $6500 USD or 6900 EUR right now, pretty much in line with earlier top of the line cameras from Nikon. Nikonians Academy Director Mike Hagen is highlighting his international itinerary as we begin the year 2016. His first message of the new year points to three destinations with a popular track record of success. 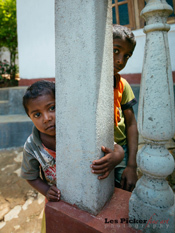 We are looking for a few more intrepid souls to join us in Sri Lanka this March. Our trip is already a go, and we are really looking forward to photographing the incredible wildlife and landscapes in this island nation. Join Les Picker on his photo tour of this enchanting land (March 12-23, 2016). "Endless beaches, timeless ruins, welcoming people, oodles of elephants, rolling surf, cheap prices, famous tea and flavorful food describe Sri Lanka." Les' trip dives deep into the local culture and wildlife for a journey you (and your spouse) will remember for the rest of your life. One of the highlights of the tour will be spending two days (four safari treks) in famed Yalla National Park, which boasts the densest wild leopard population on earth, along with bull elephants, crocodiles, water buffalo, monkeys and an incredible variety of colorful birds. We will also do safaris in two other National Parks famous for their wild elephant populations, monkeys, crocodiles, colorful birds, and other wildlife. Most evenings we will have an optional image review and critique. Get ready to photograph geothermal sites, glacial lagoons, birds, landscapes, volcanoes, lava fields, waterfalls, and basalt columns. Mike also included a photo tour of Reykjav?k that includes buildings and architecture. Nikonians Contest Coordinator David Summers (dm1dave) has posted the results of the November contests. Congratulations to our winners! Unlike most other photo competitions the workings of our contests are transparent. Our members choose the monthly themes. All entries are visible to the entire community as they are posted and you are the judges (not an invisible behind the scenes 'expert'). 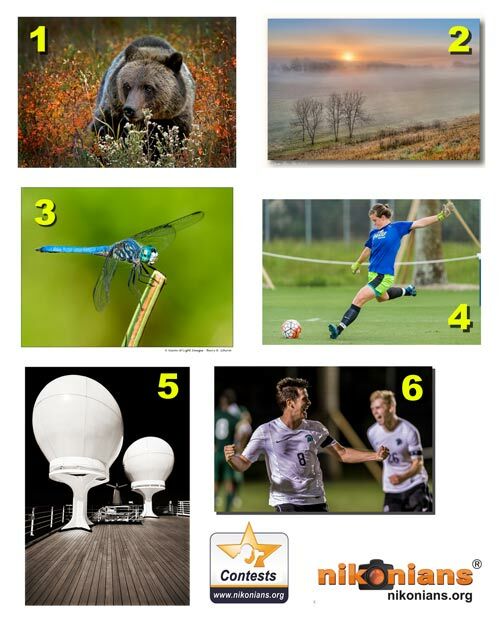 Check our winning images legend below and scroll down for the names of the winners. Each winning image title includes a link to the winning photo along with a look at the competition in each category. 1. Wildlife - "Animal Portrait" theme winner Scott Ashley (scottashley from Colorado, USA with his image titled Young grizzly portrait. 2. Landscape - " From dusk to dawn" theme winner Scott Sternberg (Bump57), from Illinois, USA with his image titled Windermere. 3. Macro - ?The Color Blue? theme winner Barry Schirm (Bschirm) from California, USA with his image titled Dragonfly. 4. Sports - "Grace" theme winner Linwood Ferguson (Ferguson) from Florida, USA with his image titled Whole body kick. 5. Travel ? " Ship Shape" theme winner Darryl Hodson (skibreeze7) from Oregon, USA with his image titled On Deck. 6. Online Assignment ? ?Wide Open ? Single Focused Subject" theme winner Linwood Ferguson (Ferguson) from Florida, USA with his image titled Yes!